So in case you were not around cool humans a few weeks ago, you might not have heard that The Replacements are reforming to play three shows this summer at the Riot Fest (!!!). I am not a rioty person, but I do love me some Paul Westerberg in all of his many forms, and this news came out of a wonderful left field to surprise most of us. 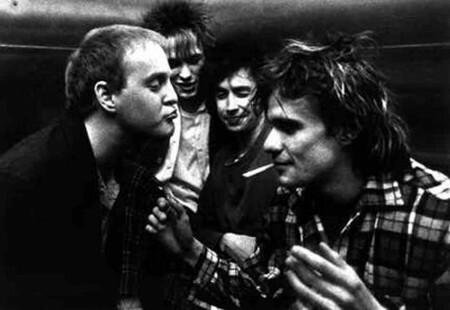 Even though we don’t know who else is in the band this go around (other than Tommy Stinson, and, maybe, Prince) — IT’S THE REPLACEMENTS. I was trying to explain The Replacements to my intern (again, with the intern. This kid is getting double his unpaid-work-hours money) and I used words like “sloppy but melodic” and “like, this visceral rawness with classic rock n’ roll underpinnings.” I used the word “punk” a few times; something about the Beatles; we talked about the dangers of alcohol overuse. I think we both went home from work that day better human beings, and now he has a new band to discover. Back in 2006 I posted a pirate’s treasure trove of Replacements and Westerberg rarities and b-sides that a reader sent me. In honor of the Riot Fest news, and to announce the ticket giveaway I get to do for it, here they are again below, all re-upped. TICKET GIVEAWAY! I have two pairs of 2-day passes to the Denver stop of Riot Fest to give away to Fuel/Friends readers. It’s happening September 21 and 22 on a farm-looking place outside of town; I’ll also be going and probably camping, which should be delightful. TO ENTER TO WIN: leave a comment telling me why you should win a pair of tickets, and I will pick two winners in a week or so. Now tunes. For you, and the intern. 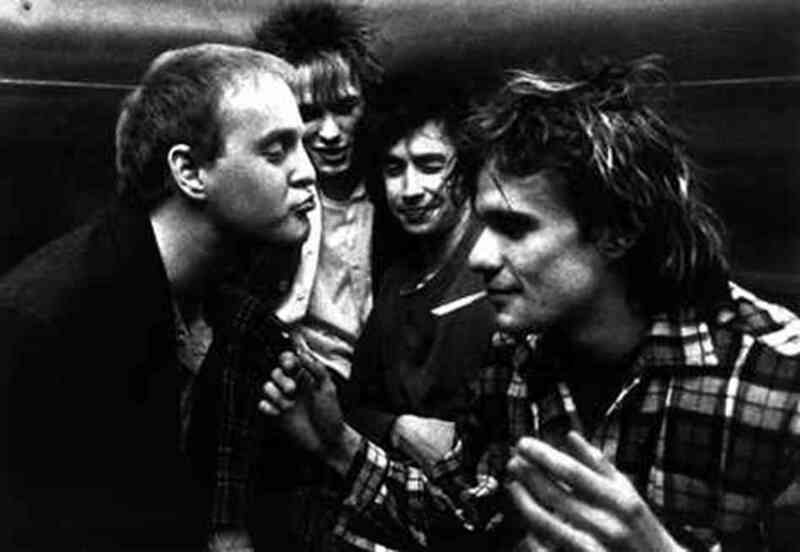 Tagged with contests, paul westerberg, replacements. Certain songs just have the power with me, through a very simple and unadorned turn of words, to evoke a perfect whole sadness. I don’t recommend playing this contest at home, but in this ongoing tally-game I have running in my head, one of the very saddest songs I know is “Top of the World” by Patty Griffin. It’s the first song of hers that I ever heard (due to a long-running college flirtation with the Dixie Chicks), and it was a gut-punch from first listen. I hear it as a story of an emotionally-distant man who is looking back at his life and grieving the ways he hurt those who loved him (“think I broke the wings off that little songbird…”). Something in the line, “I pretend to be sleeping / when you come in in the morning / to whisper goodbye, go to work in the rain, I don’t know why, don’t know why….” makes me live for a solid moment inside that grey early morning light and hear the rain fall on the eaves, and feel like not moving from under the covers, and not knowing why I am avoiding those who love me. Lines like that are part of what make Patty Griffin one of my very favorite songwriters. 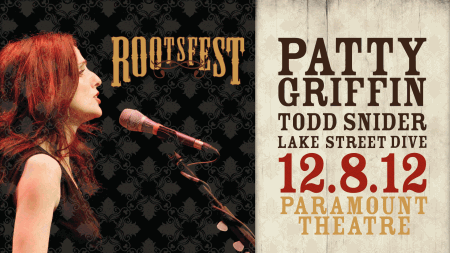 This Saturday (December 8), Patty Griffin is headlining Denver’s RootsFest (with support by Todd Snider) to benefit Swallow Hill Music, and Fuel/Friends is thrilled to be one of the presenters! Patty is an incredible, heritage-of-American-music artist, and I cannot wait to see her for a complete live set. Todd Snider opens; I once listened to some of his songs on the long road to Marfa, TX, on the way home from SXSW. Seemed perfect. WIN TICKETS! I have two pairs of tickets to RootsFest this Saturday give away to readers – please leave me a comment to enter. I am still familiarizing myself with Patty’s vast and wonderful body of work over the years (there is a lot), so feel free to tell me what your favorite song from her is, and why. I’ll pick winners on Thursday, and encourage everyone else to get their tickets in advance. As part of Swallow Hill’s rad commitment to music education (really, they are doing some of my favorite stuff in Colorado), they are also offering a class on Saturday led by local roots musicians Martin Gilmore and Patrick Dethlefs, focusing on the songwriting aspects of roots music. Each musician will include a performance aspect of their classes, playing songs and then answering questions, and giving explanations of writing techniques, tips and pointers. The workshop is FREE with your ticket to RootsFest. Tagged with contests, patty griffin. Two absolutely phenomenal shows from the Communion Records family in London are coming through Denver a day apart from each other at the end of September, and Fuel/Friends is excited to get to give away a pair of tickets to each! Michael Kiwanuka is playing the next night, September 30, at the Fox Theatre with Bahamas. All of these things are good on so many levels; Michael Kiwanuka blew me away at SXSW this past March, and he was on my summer mix. That new Bahamas record has been on constant rotation (and I also love his first album, still listening to it regularly). WIN TICKETS! Please leave a comment on this post with an interesting fact about something cool. Also indicate which show you are entering for! I will pick a random winner for each concert sometime in the middle of next week. And a feature from NME about the ethos and philosophy behind Communion Records with founders of the label: Kev Jones (who took me out for lovely pints in London in November) and Ben Lovett from Mumford and Sons. You might want to check out Communion’s New Faces record, to see what other goodness they have waiting in the wings. Tagged with bahamas, ben howard, communion records, contests, michael kiwanuka. This Memorial Day weekend you’ll find me in a yurt on the grounds of Black Forest’s 400 wooded acres at the La Foret conference center (the historic summer home of local philanthropist Alice Bemis Taylor) for the fourth annual homegrown Meadowgrass Festival, just north of Colorado Springs. I’ve never been to this fest before, but it’s growing in stature and quality (last year Damien Jurado, Horse Feathers, and John Doe from X played!) and sounds like it will be simply incredible. Denver luminary Nathaniel Rateliff is headlining Friday night before he heads off to the UK to open some more shows for Mumford & Sons, and the incomparable alt-country progenitors SON VOLT will rock Saturday night in their only Front Range show of the summer! Also notable in the lineup are The Barr Brothers and Alela Diane, as well as local blues-wunderkind Grant Sabin, and The Flumps. Sunday morning will feature a Bluegrass Mass (! ), Telluride style. Many musicians stay on-site, and the festival welcomes back any artist that’s played there in the past to come enjoy the fest’s current iteration, so I am hoping for a neat Doe-Bay-feel to the environment with little division between artist and festivalgoer. I’m very much looking forward to the campfire jams both nights for folks who are camping, where everyone is encouraged to bring their instruments and head on down to the fire pit. There’s a swimming pool on-site, Bristol Brewing beer tent, and all kinds of cool events for the kiddos, like the Millibo Art Theatre and also Mountain Song Community School where the little ones can make musical instruments. WIN A PAIR OF TICKETS! I have a pair of day passes to give away (you pick the day: Friday, Saturday, or Sunday) to a lucky reader! Email me if you would like to be entered to win, and I hope to see you all out there. Come for the weekend: twenty-one bands are playing! 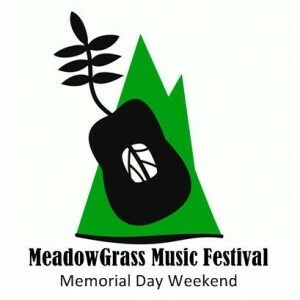 Tagged with contests, meadowgrass festival. The thief that busted my car window last night and stole the stereo that my dad gave me for my birthday also took the excellent new Joe Pug CD that was stuck inside of it. I hope the thief listens to it and then feels very very bad and convicted about being an earnest man who is worth something in this world; I also hope he goes out and buys the rest of Joe Pug’s superb catalog and changes his life. And stops being a jerkface jerk. In the meantime, I will attempt to anesthetize my wounds by going to see Joe’s afternoon BBQ show tomorrow, part of the Larimer Lounge’s excellent BBQ Series. This is a good way to spend your Saturday afternoon and you should come with me. CONTEST! 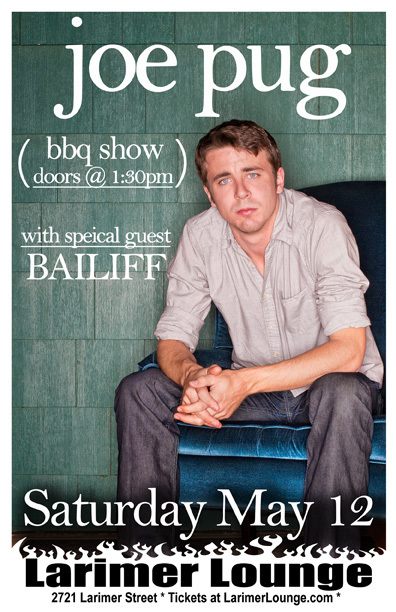 I have two pairs of tickets to give away for the Joe Pug BBQ (3pm tomorrow). Email me if you would like one of the pairs! Tickets are gone! Come anyways! Also: this interview I did with Joe is still one of my all-time favorites. 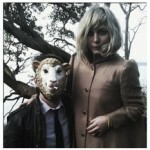 Tagged with contests, joe pug. You Won’t tomorrow night in Denver? Oh I most certainly will. CONTEST! WIN TICKETS: You Won’t is currently on tour with Alcoholic Faith Mission, and Fuel/Friends is co-presenting their Denver show tomorrow night at the Hi-Dive! I have two pairs of tickets to give away. Please email me if you want to check out the show and I’ll pick some folks tomorrow morning! It is going to be totally terrific, and a lot of fun — help kick this grey drizzle right out of town. Tagged with contests, fuel/friends presents, you won't. would you throw me back lightly? With his newest record, there came a small stack of 7″ singles, with six additional incredible songs. This song absolutely BREAKS MY HEART, and it is a bonus track. I mean COME ON Damien, it is unfair the crazy talent that flows out of this gentleman. COLORADO CONTEST: Damien is playing Denver’s Hi-Dive tomorrow night. This will be one of the very best shows of the springtime in Colorado, guys. You can buy tickets here, and also email me to enter to win one of the pairs I have to give away! I can’t wait til tomorrow night. Come join me. AND: In addition to immediately buying Maraqopa and coming to the show tomorrow night, you’d also be well-advised to listen to other Seattle luminaries covering his songs, via the Seattle Times (or, you know, on a rooftop). 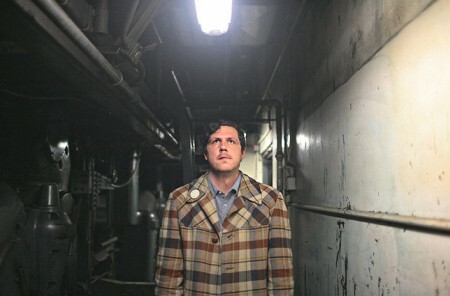 Tagged with contests, damien jurado, fuel/friends presents. 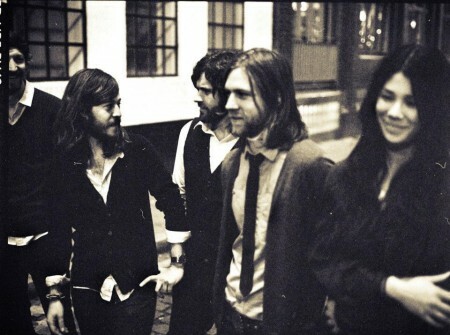 Before Other Lives comes back through Denver in March 2012 to open for Radiohead, and after I sat next to fellow Oklahoman Wayne Coyne for their midafternoon set at Sasquatch last May, you should come see them Wednesday night in Denver at the Hi-Dive. Fuel/Friends is presenting the show, and elegant, intricate favorite JBM opens, so that makes it double fantastic. WIN! I have two pairs of tickets to giveaway – please email me if you’d like to be entered! And I’ll see you there. Tagged with contests, fuel/friends presents, jbm, other lives. This weekend the inaugural Pearl Street Music Festival embarks on its maiden voyage of awesomeness, taking over its namesake thoroughfare with terrific music and art. Friday night I am seeing The Lumineers, Ian Cooke, Gregory Alan Isakov, Mason Jennings, and a night-closing set on the marvelous low stage of the Boulder Theater by The Head and The Heart. I couldn’t pick a better lineup if I tried. And on Saturday night –for those of you not coming to my house show and if the psychedelic jangle-pop is more your thing– you get Boulder Acoustic Society, the lovely ladies of Paper Bird, and headliners Dr. Dog! 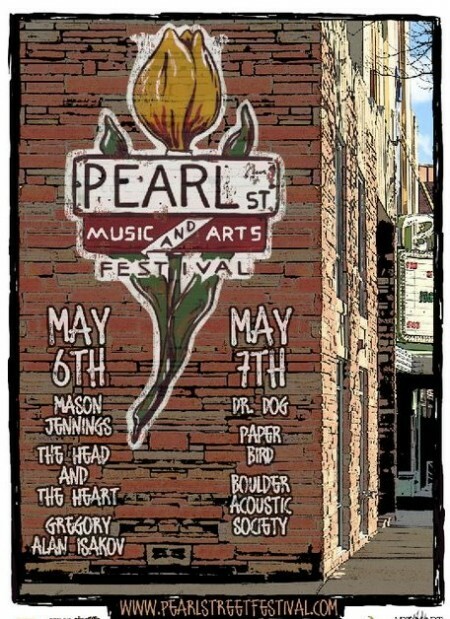 WIN A PAIR OF SATURDAY PASSES to see Dr. Dog (and all the other bands/venues) at the Pearl Street Music Festival, by emailing me and expressing your desire. I will pick someone by Thursday! Update: tickets have been given away! The festival is also cool in the uniquely integrated way it takes advantage of the location right there in the heart of Pearl Street, with all its quirky shops, drum circles, culinary delights, and street musician hippies – bless their souls. With your festival pass, you get discounts on a bunch of rad local shops and restaurants, including things like a free cookie from Boulder Baked, a free glass of wine at Absinthe House, or a free yoga or JiuJitsu class, for those feeling adventurous and not-hungover on Saturday. Hi-YAH! Tickets are still available for both Friday and Saturday, so check out the schedule, and I will see you Friday night. 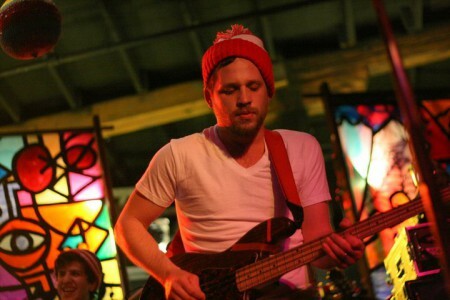 Tagged with contests, dr. dog, pearl street music festival. Wake up kids: today is the Christmas, birthday, and Valentine’s Day of the indie music world all rolled into one. Record Store Day is in its fourth year today, and you would be smart to head down to your local independent record store to celebrate the vibrant role they all play in keeping good music alive. There are also a slew of Record Store Day exclusives being offered today, so maybe break that piggy bank to take with you as well. In the spirit of celebrating everything that’s right about Record Store Day today, Fuel/Friends has a special giveaway pack for one lucky reader. To note all the excellent new releases that will be available today for the first time, the first item in the pack is the debut record from The Head and The Heart on vinyl. Sub Pop is releasing their album today, now remastered and with “Rivers and Roads” on it, with expanded liner notes / sweet art. You know by now why I like them; or you can read what I wrote for Sub Pop. Can’t wait to hear the record on warm, crackly vinyl. The second item in the gift pack is to note all the re-releases coming out on vinyl today. 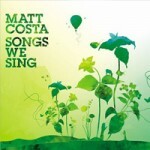 For the first time, Matt Costa‘s 2006 debut record Songs We Sing is coming out on vinyl through the good folks at Brushfire Records. This is a sunny acoustic gem of an album that will serve you well all summer long, also one that will sound great on vinyl. 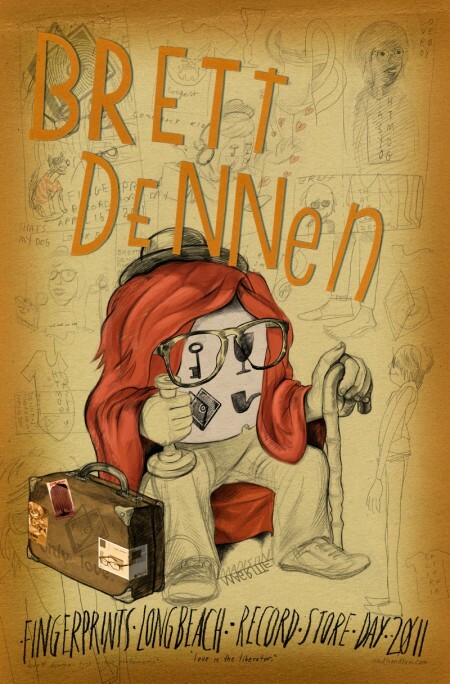 And finally, Fingerprints Records in Long Beach –a terrific independent record store– is contributing a signed poster from the in-store they are doing today with Brett Dennen. I bet your local record store is having musicians play amidst the stacks today as well. Fingerprints is doing their part to keep music vibrant with excellent in-store performances (that sometimes spill out onto the street) and a top-notch selection of music. To enter to win the Fuel/Friends RSD 2011 prize pack, leave me a comment telling me what you are doing today and why. I’ll pick one winner at the end of the weekend. I am in Chicago, so a whole new city beckons. I have my Reckless Records tshirt to guide me. 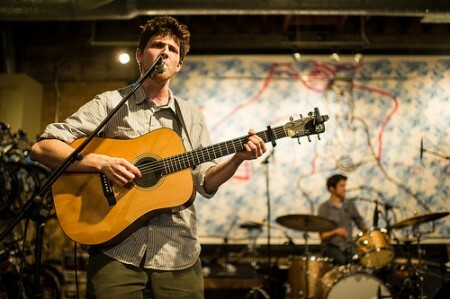 Tagged with brett dennen, contests, matt costa, record store day, the head and the heart.